If you are looking for making extra money, side jobs online that you can do from home can not only help you earn more money but also provide a flexibility that fits into your busy life. Today, you could easily make some extra money in your spare time from home thanks to the internet and sharing economy. Many people are doing many different types of spare time jobs from home to earn some extra cash. If you would like to monetize your free time, then here are some options for spare time jobs from home to earn some extra cash. Many companies outsource call center agent jobs to home-based workers. If you have a great phone manner, communication skills and a reliable internet connection, you could consider becoming a call center agent to make money as an internet side job. If you have fast and accurate typing skills, friendly and professional attitude, and can handle multiple conversations at once, this could be a great fit for you. Both full-time and part-time positions are available. You should be also available during nights and weekends. You can also search for live chat jobs on sites like Indeed.com, SimplyHired.com, FlexJobs, and Upwork.com or offer your live chat services on Fiverr. If you are a confident user of social media sites and know how to handle the various social media accounts to maintain an online presence, consider working as a social media specialist in your spare time to make money at home. There is a variety of social media jobs available, including social media specialist, social media moderator, social media assistant, social media manager and more. Generally, these companies post jobs to their own website, freelance sites and online job boards. Upwork, Freelancer, PeoplePerHour, Indeed, FlexJobs, Fiverr, etc. are some of the reputable freelance sites and online job boards you can use to find social media jobs. 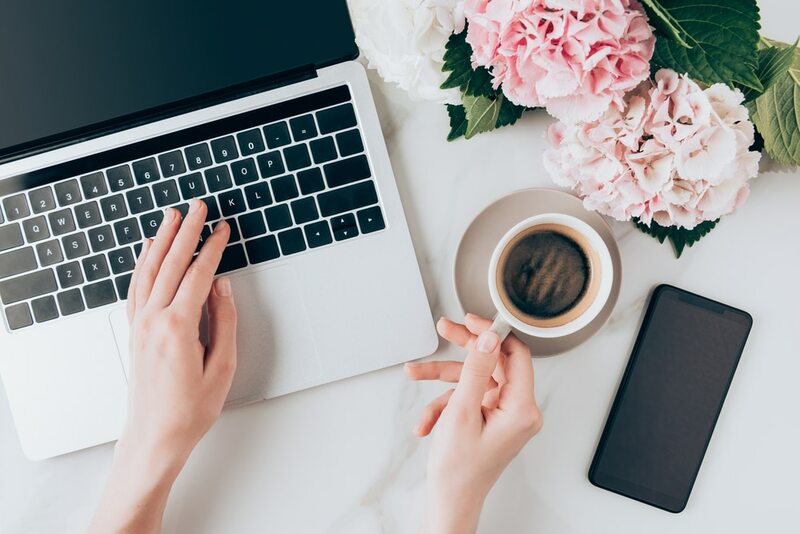 If you are a good listener and have fast and accurate typing skills, then you may work as a transcriber to make money at home in your spare time. You will also need good headphones and fast internet. The work would usually involve transcribing audio content. You may work for clients in a specific industry like general, legal or medical. If you are familiar with medical terminology or legal topics, you can earn more as a medical transcriptionist, or legal transcriptionist, depending on your area of expertise. Otherwise, you can choose to become a general transcriptionist to make money by transcribing audio content on general topics. Some companies that hire for transcription jobs include TranscribeMe, Quicktate and Rev.com, among others. Data entry jobs are among the most popular jobs for stay-at-home moms. Most data entry jobs require only a high school or GED diploma. While different types of data entry jobs exist, typical data entry work would involve entering data into a document, spreadsheet program like Excel sheet or Word sheet, or database-management system. Online data entry work is one of the favored, easy side jobs from home. Those that can type with few mistakes and with decent speed might try this to make extra money online. Freelance sites like Upwork, Freelancer, PeoplePerHour, etc. and general online job boards like Monster and CareerBuilder also feature online data entry jobs. If you have fast typing speed with accuracy, this could be a great work from home job you can do from home in your spare time. Many companies and individuals around the world constantly look for virtual assistants who can perform a variety of administrative tasks from home. They typically answer phones, take messages, send and reply to emails, create business documents, schedule appointments, and do data entry, among other tasks. However, if you have skills or experience in creative or technical field, you can also become a virtual assistant to do tasks or provide services using your creative or technical skills or experience. Many VAs offer administrative, creative and technical services. Basically, if you have any marketable skill that you can use online or over the phone, you can work as a virtual assistant for companies and individuals from around the world. If you are looking for a new job that you can work at your spare time from home, look for those companies that have telework programs. Some companies may want you to work in the office before letting you telecommute. Check out telework job listings on sites like Indeed.com, Monster.com, and FlexJobs.com. Synergy Service Solutions and Arise offer telecommuting job opportunities that let you work from the comfort of your own home. There are some websites where you can find telecommuting job listings. These sites usually provide links to the websites of companies that hire telecommuting workers. Telecommuting is when an employee can work at home for his or her current employer. Telecommuting opportunity may arise if a company needs to downsize or save money. You can earn money in your spare time from home by teaching the language you speak to language learners from around the world. If you are a native speaker of the English language, you can become an ESL (English as a Second Language) teacher online. There are a number of online sites that enable you to teach languages online. You get paid to chat with students from around the world. Online language jobs pay well and offer great flexibility, so you can earn money in your spare time from home. Cambly, italki, Preply, VIPKID and are some of the renowned sites that will help you get clients to teach the language you speak to people from around the world. If you have the talent and skills for creating mobile apps, you can sell them to make money. If your apps are approved by Apple App Store, Google Play, or Windows Phone Store, you can make money by charging people to download and use them, or selling advertising space in your apps, or charging people for an add-free version of the apps. Another option to make money from your apps is through in-app purchases where users make purchases within your apps to access additional features of the apps. You can also sell the entire app to someone else. If you are familiar with how search engines work, then you could make money by becoming a search engine evaluator. You will evaluate whether search engine results returned by a particular search engine are relevant based on the query given to you by the search engine or company to search for. Basically, you have to evaluate search results for their accuracy and relevancy according to the query. Your rating or feedback is very important for the search engine to monitor, clean up and improve their search results regularly. If you are internet savvy and familiar with how search engines work, this is a great way to earn money online. Search engines like Google outsource search engine evaluator jobs to third-party companies or websites like Appen, Leapforce, ZeroChaos, iSoftStone and Lionbridge. Typically, jobs are available between 10 and 25 hours a week. If you have excellent research and writing skills, a number of sites will pay you to answer users' questions (these require you to do research online) on different topics. If you are knowledgeable about a certain topic, then you can answer users' question about that topic posted to one of these sites. You will write the answer online via text message, live chat or email, depending on the site. Some reputable sites that will help you to make money by answering questions online include Wonder, 10EQS, PrestoExperts, JustAnswer, and Experts 123. If you know how to use the internet to find specific information, then you can use your online research skill to make money online as an online researcher. There are different ways to make money doing research online. Some sites will pay you to just extract information from the web for their clients. So, if you have just researching skills, you can complete these jobs online. You can choose to apply for virtual assistant jobs that may only require you to do web research-based tasks. Some clients will pay you to find specific information online for them and this requires only online research. Internet research jobs are usually available on sites like Upwork, Freelancer, PeoplePerHour, Fancy Hands and Clickworker. You can also get internet research jobs by advertising or offering your internet research skills and services on Fiverr. If you are fluent in another language, you could make money in your spare time as an online translator for companies and individuals around the globe. You can make more money online by translating documents, videos, etc. content if you speak and write another in-demand language well enough. Whether you are fluent in French, Spanish, Dutch, or Korean, you can make money by becoming an online translator. There are hundreds of legitimate ways to make money from home in your spare time. If you have an in-demand skill, you could find lots of jobs that you can do from home using that skill to earn money from home. The above spare time jobs from home are great ways to make money from home.